Dr. Paola Rivetti is a Lecturer in Politics of the Middle East and International Relations in the School of Law and Government at Dublin City University, Ireland. Her research interests focus on the government of societies and polities in the Middle East from a comparative perspective; on the transformation of the state in the region; on Iranian domestic politics; on diaspora politics. She is a co-founder and a board member of the Lund University-based European Iran Research Group and the General Secretary of the Italian Society for Middle Eastern Studies (SeSaMO). She is involved in an FP-7 research project on youth cultures in the MENA region (www.sahwa.eu). 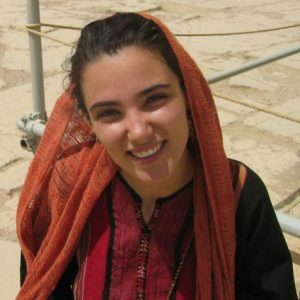 Paola has carried out extensive fieldwork in Iran since 2005 and in Turkey since 2009, and was an invited lecturer to a number of universities in Europe. She contributed chapters to a number of edited volumes and published articles in ‘British Journal of Middle Eastern Studies’, ‘Journal of European Integration’, ‘Democratization’, ‘Middle Eastern Studies’, ‘Mediterranean Politics’, ‘Alternatives: Global Local Political’; ‘Foreign Policy-Middle East Channel’ and ‘Jadaliyya’; and the Chaillot Paper Series. She is co-editor of Continuity and change before and after the Arab uprisings. Morocco, Tunisia and Egypt (Routledge, 2015).